View Inc., a Silicon Valley Technology company, produces Dynamic Glass – a product and technology that is most impressive when you can walk into a building that has Dynamic Glass installed. Not only does it reduce glare and eliminate the need for blinds or shades, it also protects occupants from the heat and glare of the sun. This can be a hard sell on a showroom floor if you can not walk a customer through a real life demo that showcases your key selling points. 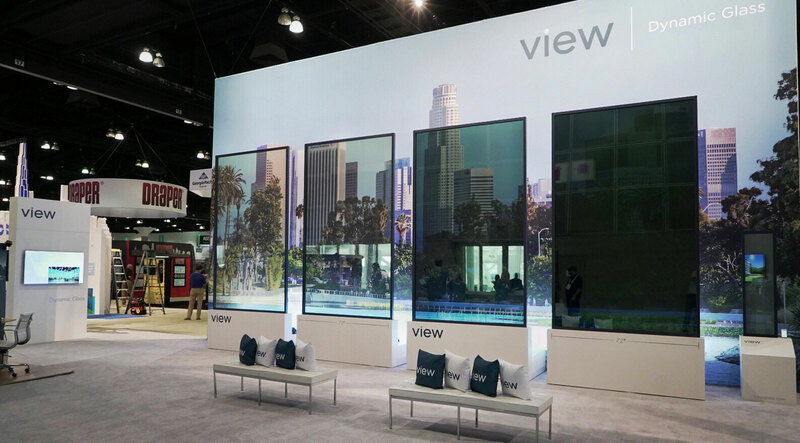 – Mike Lane, Region Director – View, Inc.
For the Greenbuild Conference in LA, View Inc. worked with Groove Jones on creating a sales tool that not only transports their customers into a virtual showroom, but it delivers dramatic 4d effects so they can feel how View Dynamic Glass reduces the heat. 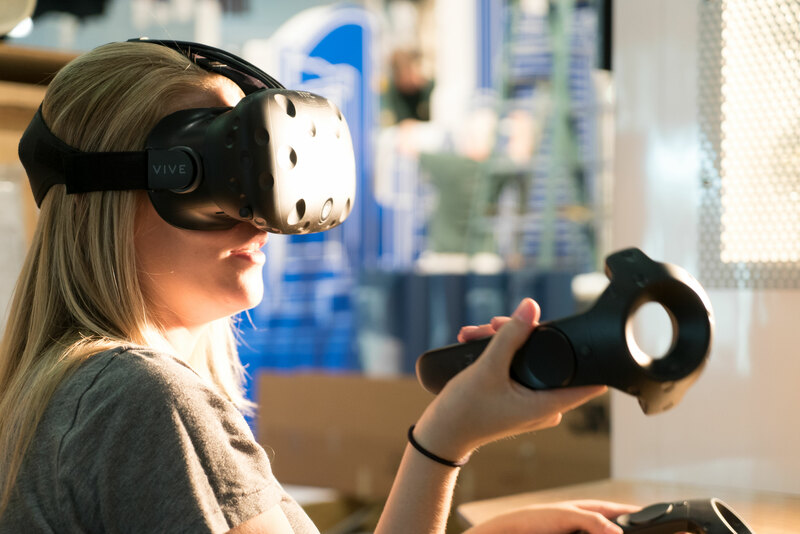 This was accomplished by constructing a demo area on the trade show floor, where customers could sit down (or stand up) at a desk and once inside the VR headset, they are transported to an office setting located in New York or Los Angeles. 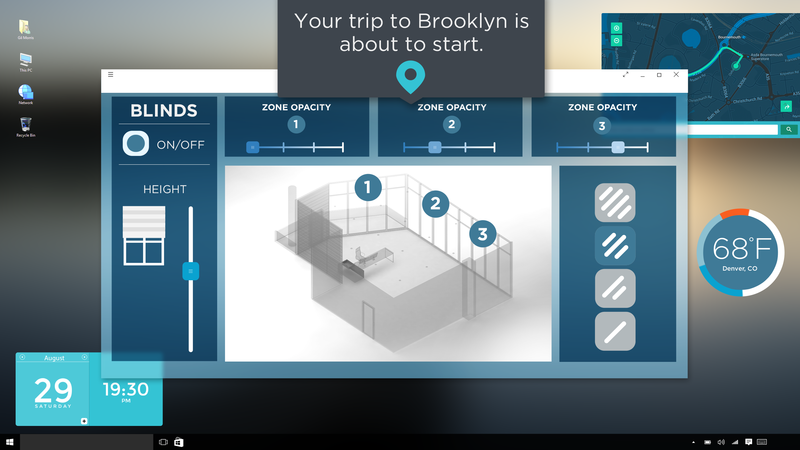 You get to choose your location, this is VR. 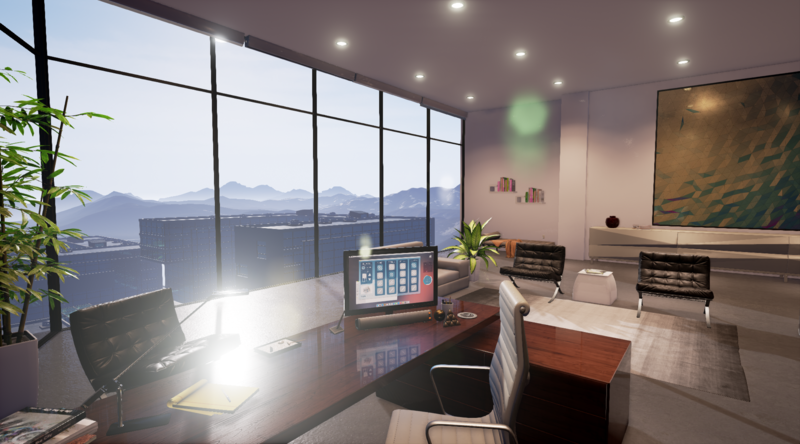 The physical structure matches the VR environment, so when you touch the actual desk in front of you, it feels like you were in the CGI room. Customers are given a controller to change the weather conditions, time of day and season outside the windows. This gives the customer real-time control and feedback like nothing else. Put it in time-lapse mode and your see the sun rise and set outside your window. You see and feel the sun’s rays as it moves across the sky. 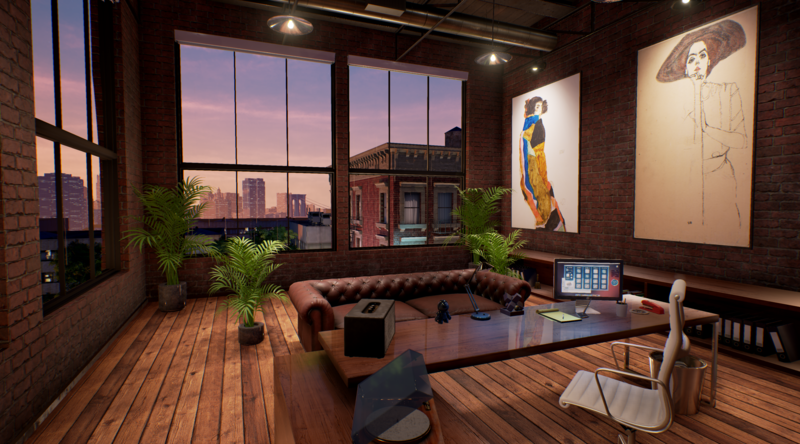 Above the physical desk is a heat wall that powers up exactly where the sun’s position is in the VR world. Since View Dynamic Glass tints automatically in response to outdoor conditions reducing heat and glare, the customer immediately feels the benefits of Dynamic Glass. The response is immediate and powerful. It truly positioned View as an innovative industry leader at the show. But this didn’t surprise the View Glass sales and marketing team. This was actually the second time View has hired Groove Jones to help them. The Century Link building incorporates 37,000 square feet of View Dynamic Glass, making this facility the single largest installation of intelligent, electrochromic glass in the country. Attendees of the conference, experienced a 360º VR tour with similar 4d effects. 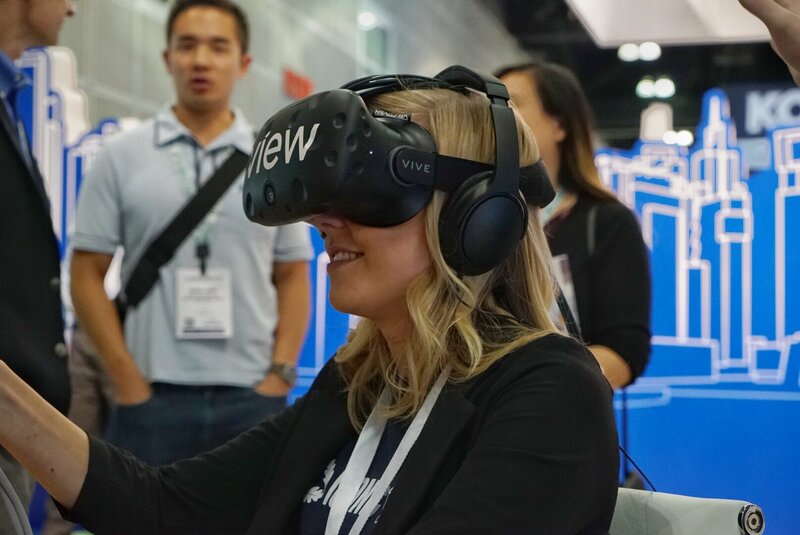 After the AIA conference, the demand for a portable VR demo that the sales team could take into the field was incredible. So the team responded by outfitting every sales person with their own branded headset and VR kit. Regional offices were also outfitted with a heating wall demonstration kit.